Maria Hester Monroe’s toy teapot. Children’s toys in the nineteenth century depended on class standing. Maria Hester Monroe was part of the upper-class and therefore had access to more toys than children with different socioeconomic statuses. This teapot is part of a child’s tea set owned by Maria Hester Monroe, the youngest daughter of James Monroe.3 Although given to Maria for entertainment, playing with this set would also teach her social behaviors expected of women in her social class. 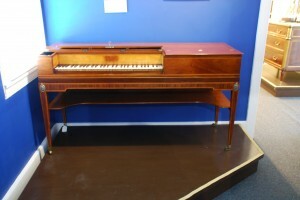 Front view of the Pianoforte. In the early nineteenth century, many upper-class women were encouraged to have a variety of skills and talents, which helped them to achieve a good match for their marriage. 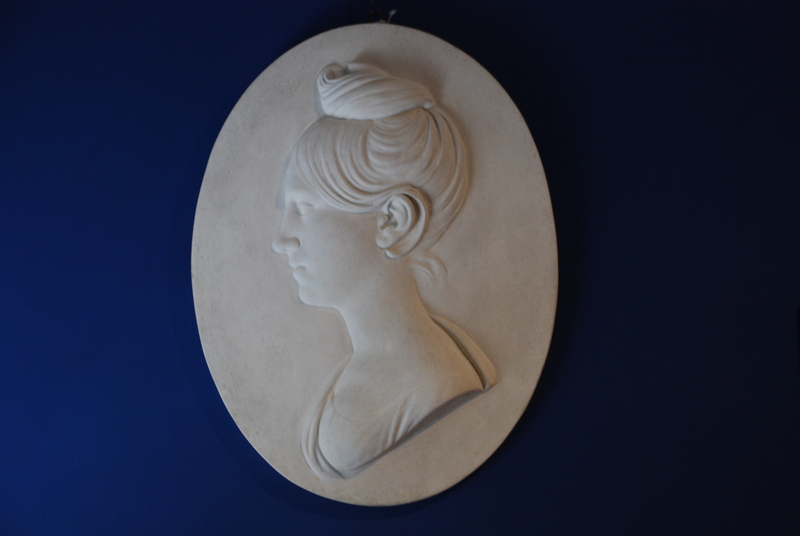 A musical talent was often encouraged as the woman could then provide a source of entertainment during evenings. Maria Hester Monroe was particularly adept at playing the piano. Her parents thus gave her this pianoforte for her wedding present.6 This way she could continue to play in her new home with Samuel. For more information on this scan, see the Pianoforte collections page. 1. Brooke Payne and George Harrison Sanford King, “The Monroe Family,” The William and Mary Quarterly 13 (Oct. 1933): 237. 2. Alexandra Silver, “Brief History,” Time, August 9, 2010, 16. 3. 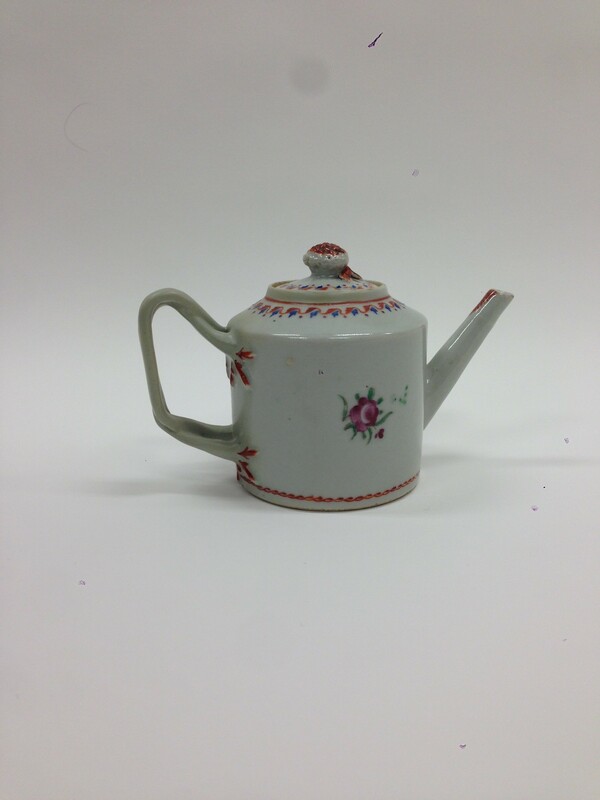 The James Monroe Museum and Memorial Library, “Teapot,” Object report, Accessed Feb 26, 2014. 4. George Morgan, The Life of James Monroe (Boston: Small, Maynard and Company, 1921), 416. 5. The James Monroe Museum and Memorial Library, “Bas Relief of Maria Hester Monroe,” Object report, Accessed Feb 26, 2014. 6. 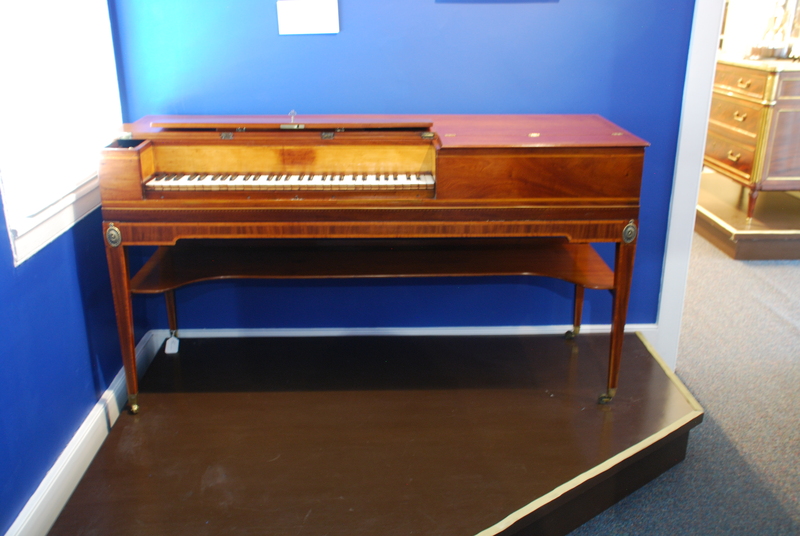 The James Monroe Museum and Memorial Library.,“Pianoforte,” Object report, Accessed Feb 26, 2014.